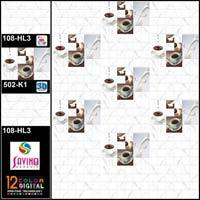 Savino Ceramic is a well-known Manufacturer, Exporter and Supplier of Digital Wall Tiles. We delight our customers by offering them variety of digital wall tiles like Digital Bathroom Wall Tiles, Digital Kitchen Wall Tiles, Digital Living Room Wall Tiles. Our valuable industry experience helps us to deliver exceptional quality Wall Tiles at affordable prices. 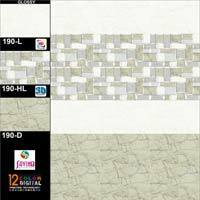 Our manufactured Digital Wall Tiles are ISO 9001:2008 certified and we have invested in advance machines and technology to bring forth optimum quality Wall tiles. Our team comprises of professionals who contribute magnificently towards serving our customers with affordable and ultra-modern Digital Wall Tiles. We have successfully marked our presence in the international market with our supreme quality Digital Wall Tiles; thus we are spread all over the world and capable of delivering orders in bulk.